I spend a lot of my morning personal grooming time (i.e., makeup and hair) thinking about design trends. By "trends" I don't mean trendy, but rather, the dominant styles of the day. And the conclusion that I have come to is that over the last decade or so, not much has really changed. 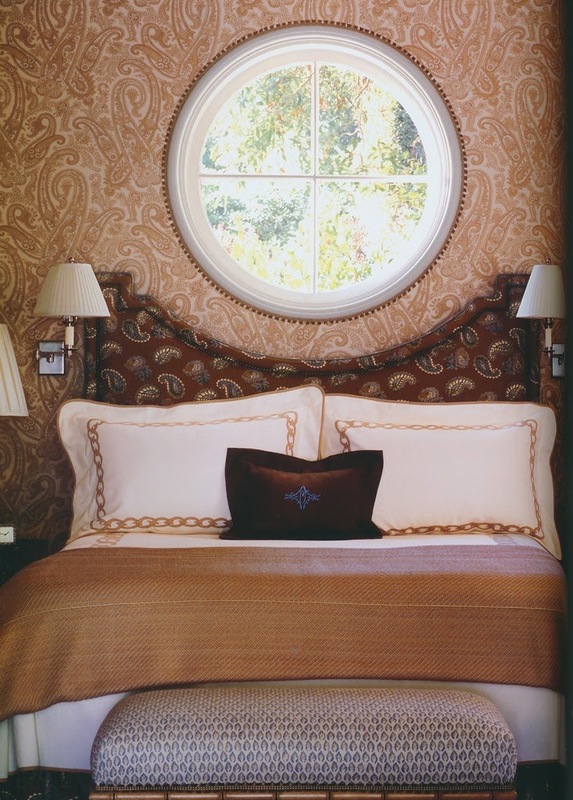 We started the 21st-century with the Hollywood Regency revival and the David Hicks/Swinging Sixties style. 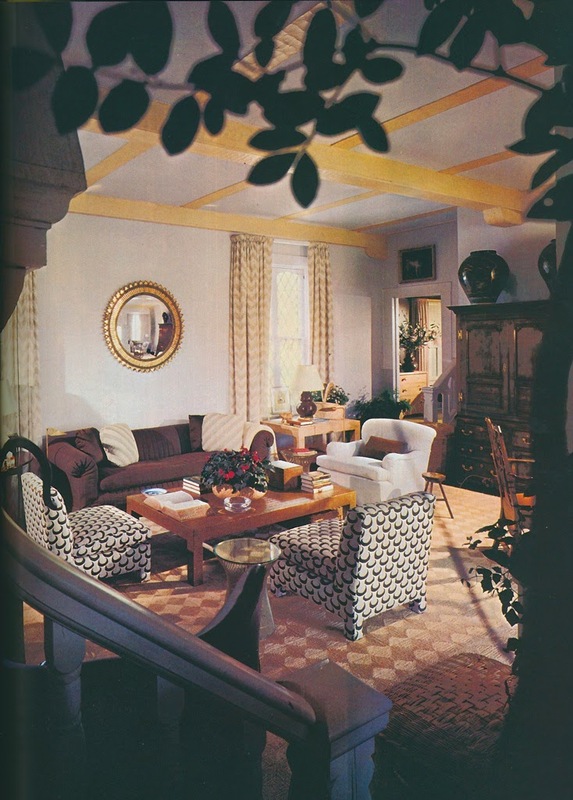 Within a year or so, these trends morphed into the WASP-y, colorful, Palm Beach look. 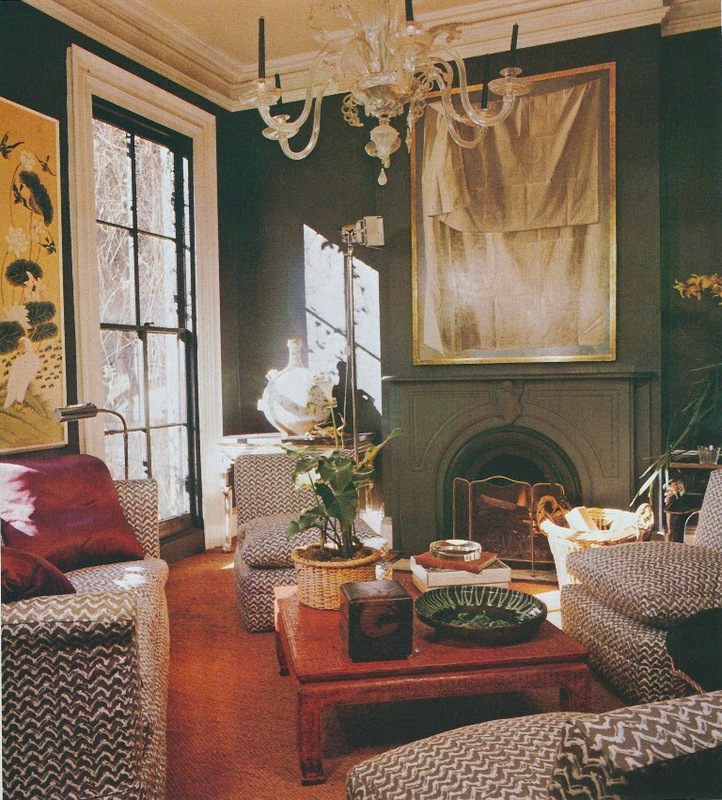 After that, it was the exotic, boho-chic look of ikats, poufs, and Indian prints. And today, all of these looks remain popular to varying degrees. 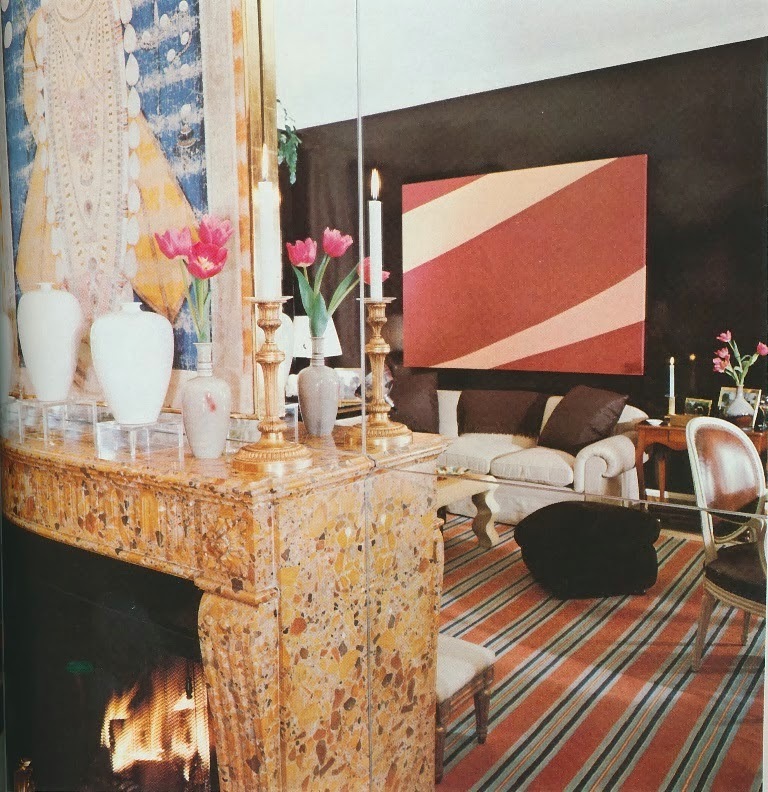 What all of these looks have in common is that they have maximalist DNA: bright, saturated colors; bold, overscaled pattern; and, at times, a rather free-wheeling, decorate-with-abandon sensibility. The other shared trait among these trends? Their last bouts of popularity were in the mid-to-late 1960s and early 1970s. In a way, it is as if we are stuck in the Johnson and Nixon administrations, only with the benefit of the internet and the iPhone. As much as I admire these aforementioned styles, I am ready for something new. It's time for a change. But of course, the big question is, what's next for design? The look to which I have gravitated for the last few years is one that was fairly prevalent during the 1970s and early 1980s. 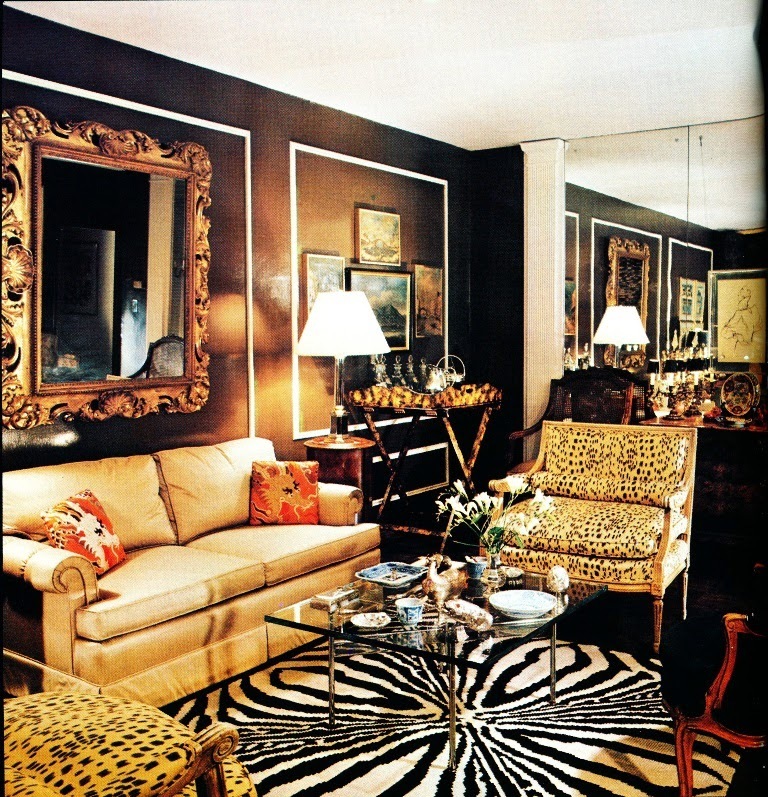 It is defined by neutral-though-rich colors (such as chocolate brown, black, and caramel, all of which look fabulous at night,) smaller-scaled pattern, glimmering accents of chrome or brass, and the pairing of elegant antiques with contemporary upholstered furniture. It's a look that I believe evolved from the fabulous chocolate brown apartment of Billy Baldwin, although Van Day Truex certainly deserves some of the credit, too. What I like most about this look is that it makes an impression without screaming for attention. Despite the restrained color palette and small-scaled, typically two-toned prints, there is no lack of glamour, drama, dazzle, or pizzazz. And to execute this look well, one has to practice self-discipline and self-editing. I think that one of the downsides to some recent design trends is that editing and restraint have been forgotten, something that has often resulted in "anything goes"-type rooms. 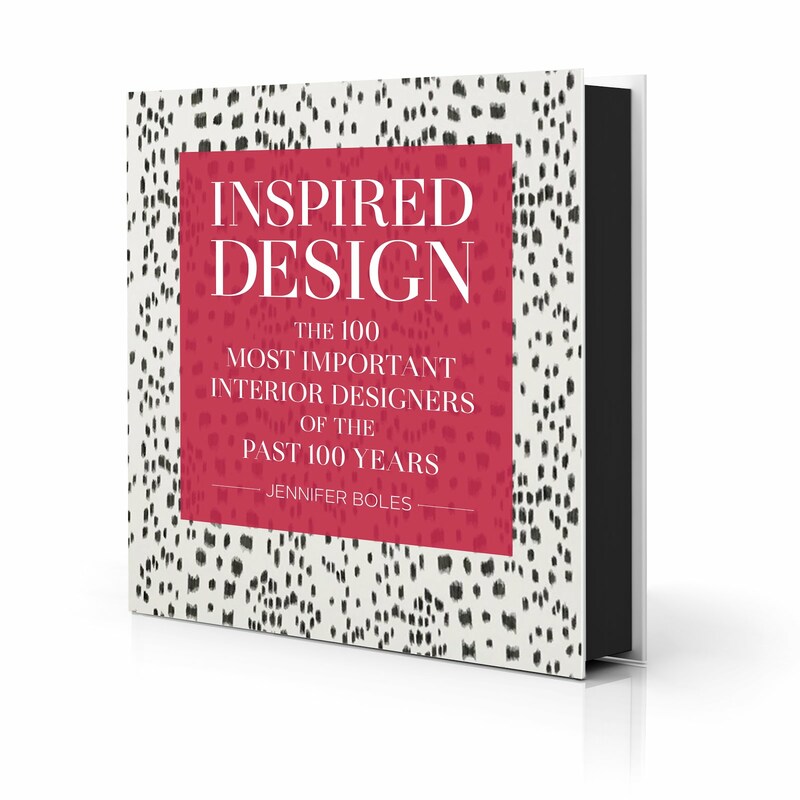 (I think that the designer Joseph Braswell put it best when he said, "Very often a good room is ruined by too many stories." 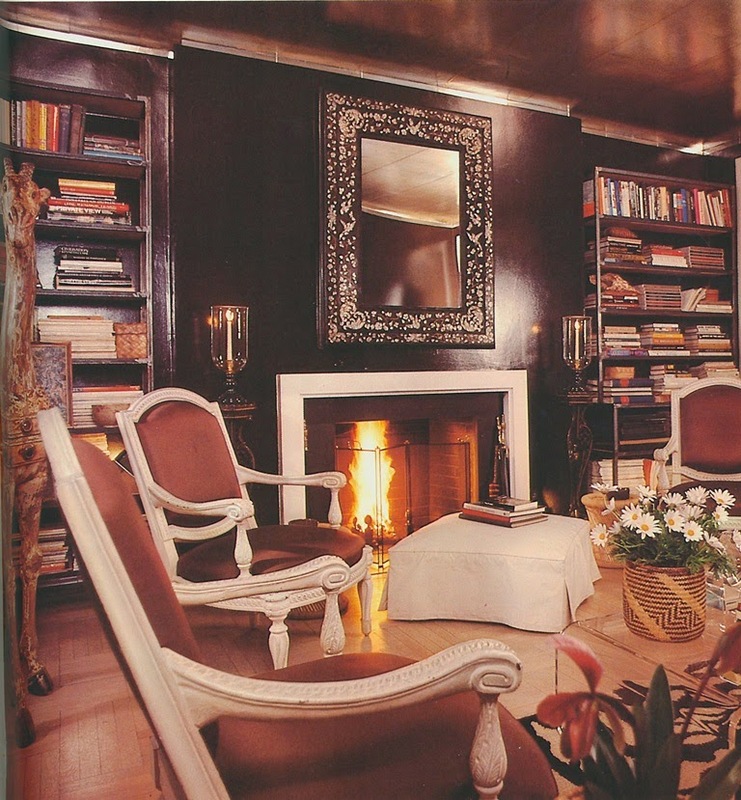 ) Finally, it's worth noting that although all of the examples featured here were decorated by male designers, women could just as easily live in such rooms. The overall aesthetic might be masculine, but it doesn't seem overtly so to me. 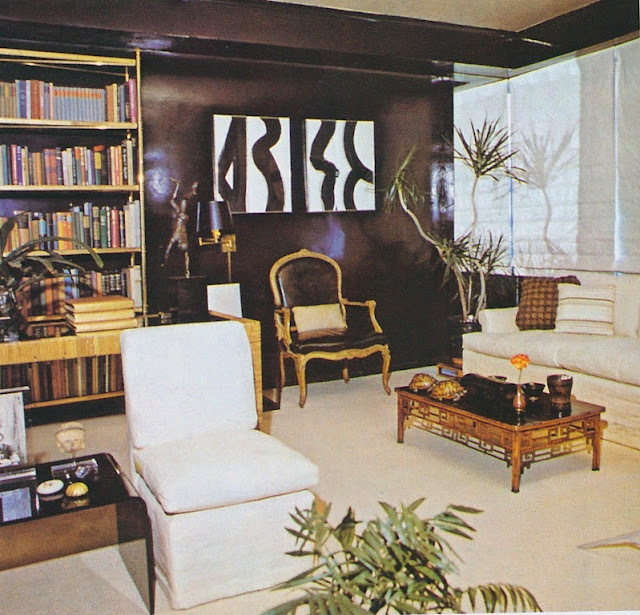 Will this classic 1970s-era sensibility make a comeback? I hope so, because I do think it's a worthy successor to today's current trends. If you're like me and you're ready for a change, please let me know what you think the next big look will be. 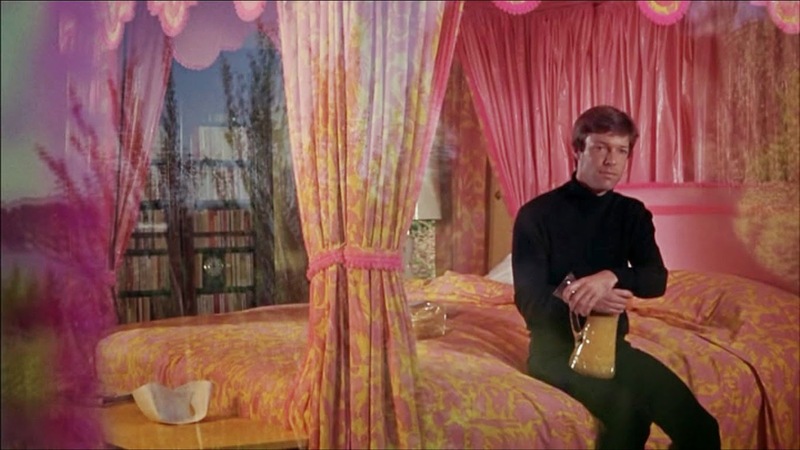 I recently spent a rainy afternoon watching the 1968 movie, Petulia. 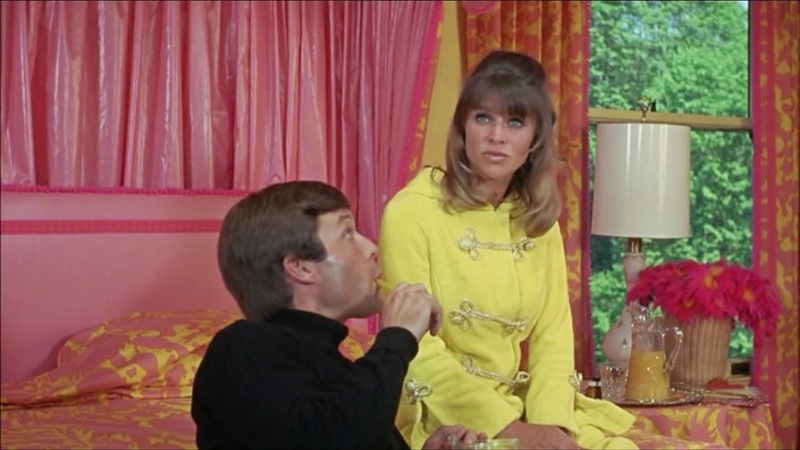 Starring Julie Christie, George C. Scott, and Richard Chamberlain, the movie takes place in the swinging and psychedelic San Francisco of the late 1960s. 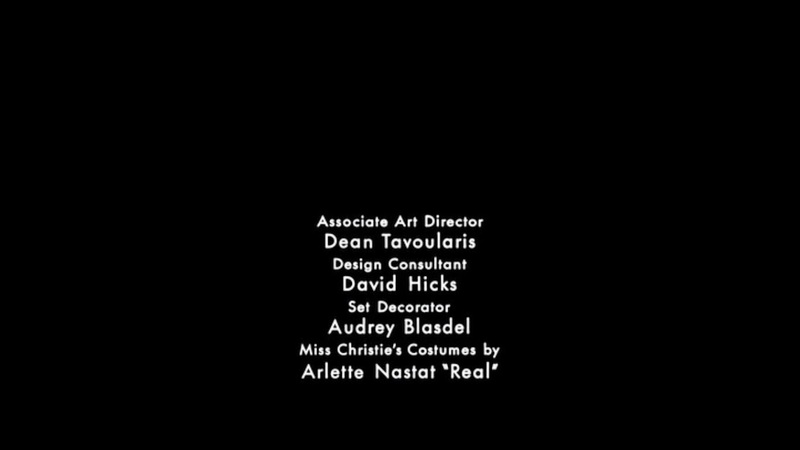 Christie played Petulia Danner, a young, glamorous wife who is, to borrow her phrase, a kook. ("Kook" is really putting it mildly.) 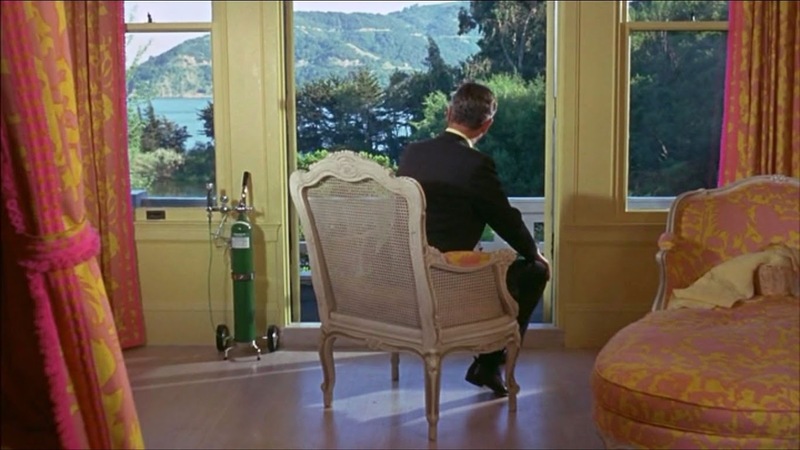 Recently married to a wealthy, handsome, and violently abusive man (portrayed by Chamberlain,) Petulia embarks on an affair with Scott's character, a doctor going through a mid-life crisis. The film's story unfolds in scattered rather than linear fashion, with flash-backs and flash-forwards (supposedly a novelty at the time) interjecting themselves throughout the movie. Adding to the slightly chaotic film sequences are the acid-like, psychedelic images that flash up on the screen every now and then, set to the accompaniment of music by Janis Joplin and the Grateful Dead, all of whom make cameo appearances. In a 2006 New York Times article about Petulia's release on DVD, Dave Kehr wrote that the movie was originally "released to largely uncomprehending audiences." Had I been an adult watching Petulia in 1968, I would have been one of those uncomprehending viewers, and in fact, I'm uncomprehending in 2014. The movie is too weird and, well, too kooky for me. And the Janis Joplin/ Grateful Dead soundtrack does absolutely nothing for me. 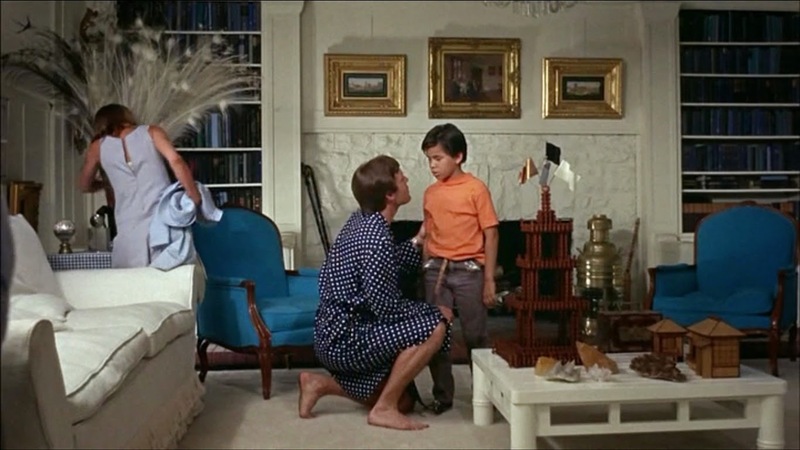 But I really didn't watch this movie for its plot or to see a young Richard Chamberlain. 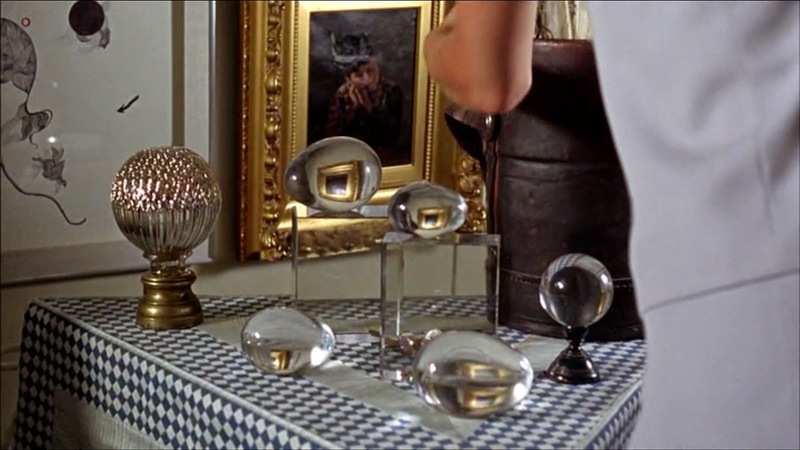 Rather, I watched it because David Hicks served as design consultant on the movie. By the way, just what are those blue flowers? They look like blue carnations or mums. In the three photos above, you can see a number of Hicks hallmarks, including bergères covered in bright blue, solid-colored fabric (which, along with the room's contemporary painting, cobalt glass collection, and shelves of blue books, punctuates the room with the color,) skirted, triangular-shaped sidetables, and a number of tablescapes. 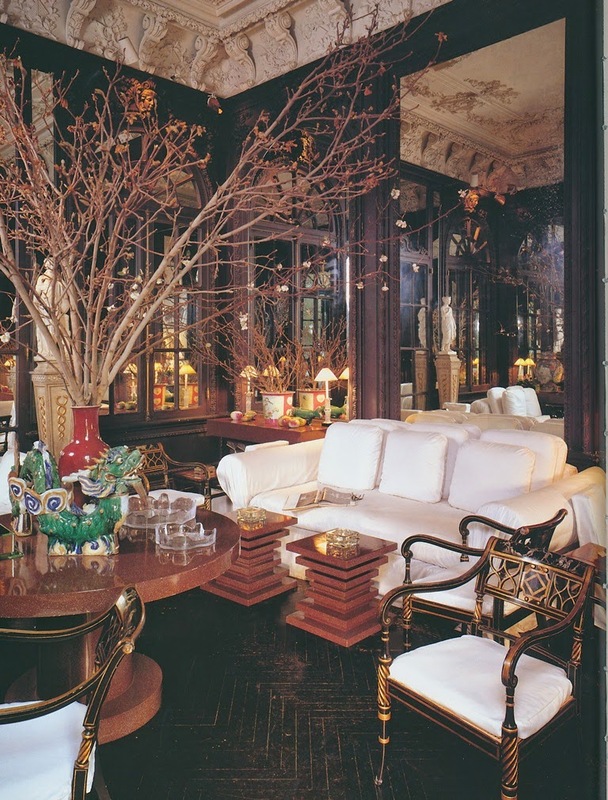 But perhaps even more "Hicks-like" than the living room is the Danners' bedroom, in which one of Hicks's wonderful canopied beds plays a starring role. (According to Ashley Hicks's most recent book, his father was not happy with the way the Petulia canopy was built, noting that the valance was too shallow. He was right.) Such an intense color combination of canary yellow and hot pink is not quite what I would expect in a house in San Francisco, and yet, it's really very striking. 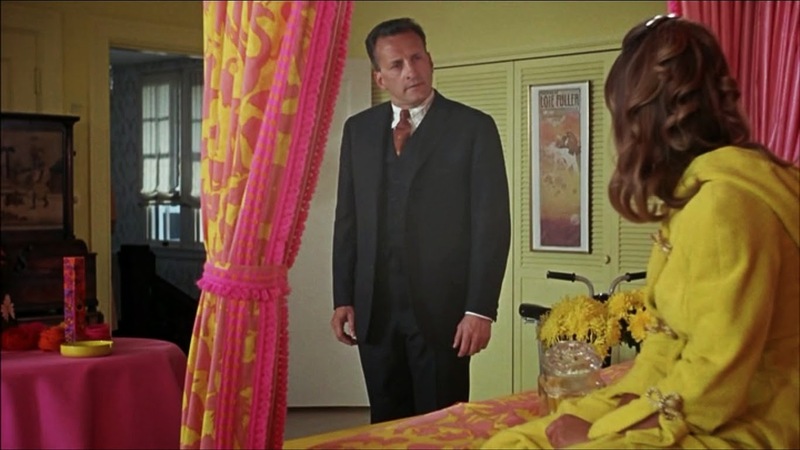 Christie's bright yellow robe only adds to the intensity of color. 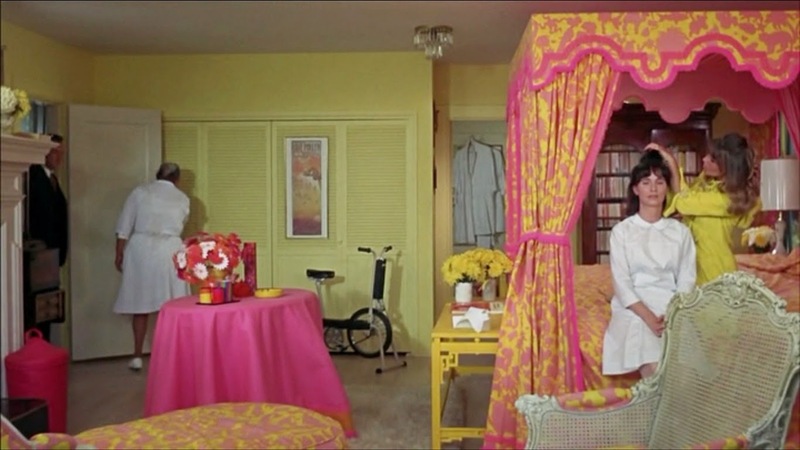 And I'm crazy for the pink fabric that lines the bed hangings. Do you think it is a highly-glazed cotton? It looks too shiny to be silk. Who knew that one could be so pensive while serving orange juice? 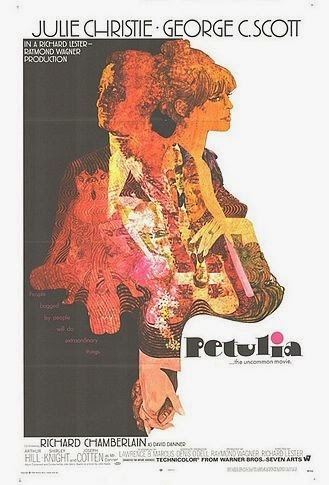 Although I wouldn't rate Petulia a movie classic, it is a rather interesting film. If you love the swinging sixties and the music that went along with it, then you might well enjoy this movie. 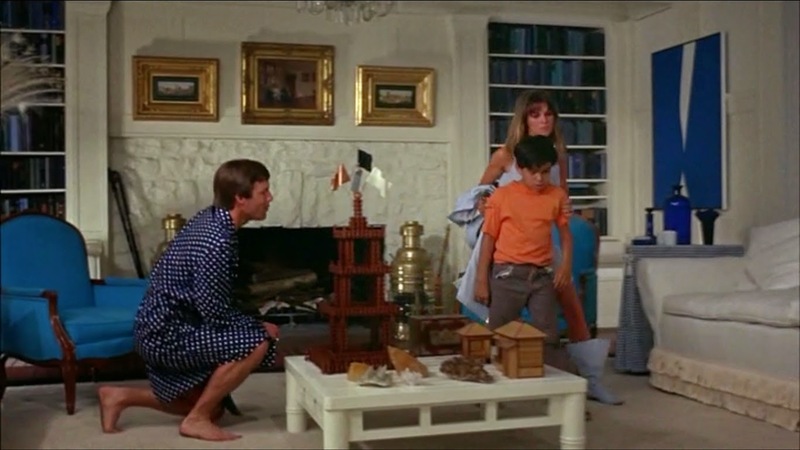 And for those of us who don't, let's just appreciate the beauty and vitality of these David Hicks-designed rooms...and the beauty and vitality of a young Richard Chamberlain, too. 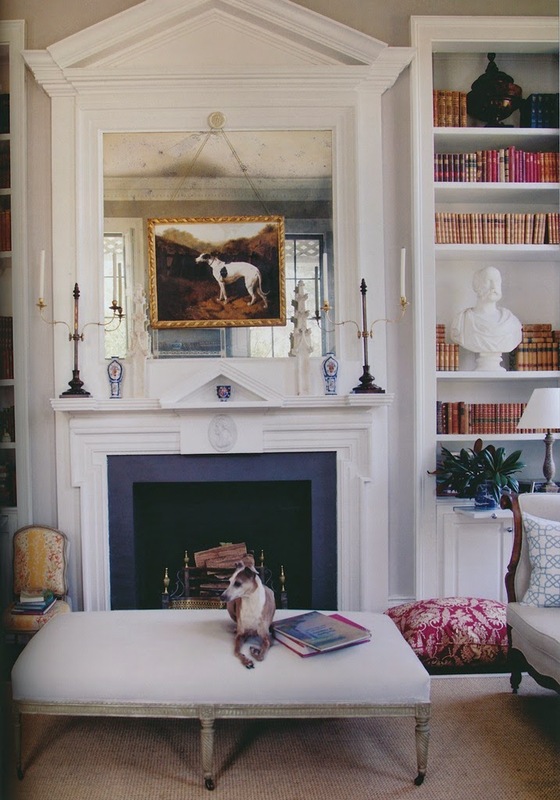 The Spring book release season is in full swing, and two recent publications have captured my attention: One Man's Folly: The Exceptional Houses of Furlow Gatewood by Julia Reed and Linens by Jane Scott Hodges. I am sure that most of you are at the very least familiar with these two books, but for those who might not be aware of them, let me give you an introduction to both. 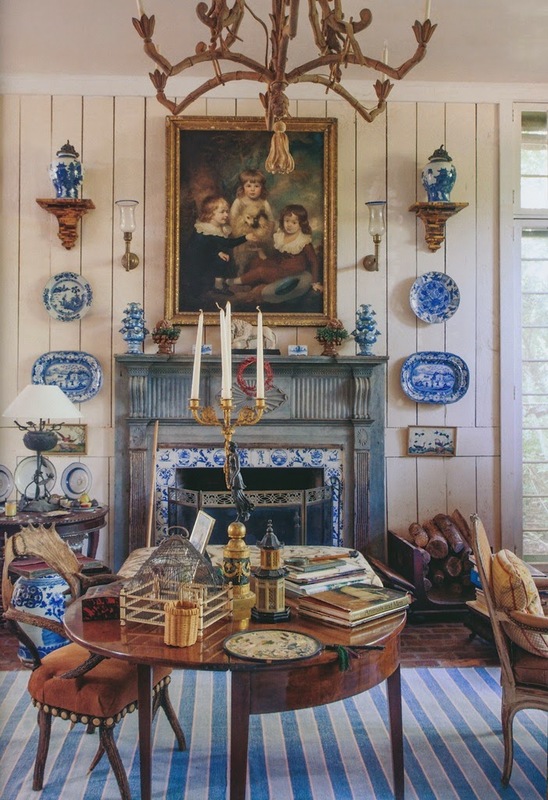 One Man's Folly is a photographic tour of the Americus, Georgia compound of designer Furlow Gatewood. 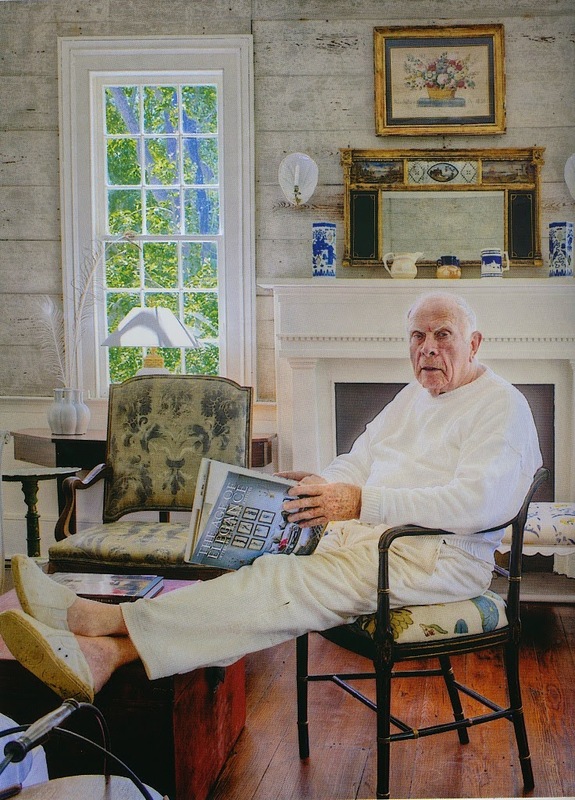 I use the word "compound" as Gatewood has peppered his spacious property with houses and outbuildings that are decorated in Gatewood's inimitable style. 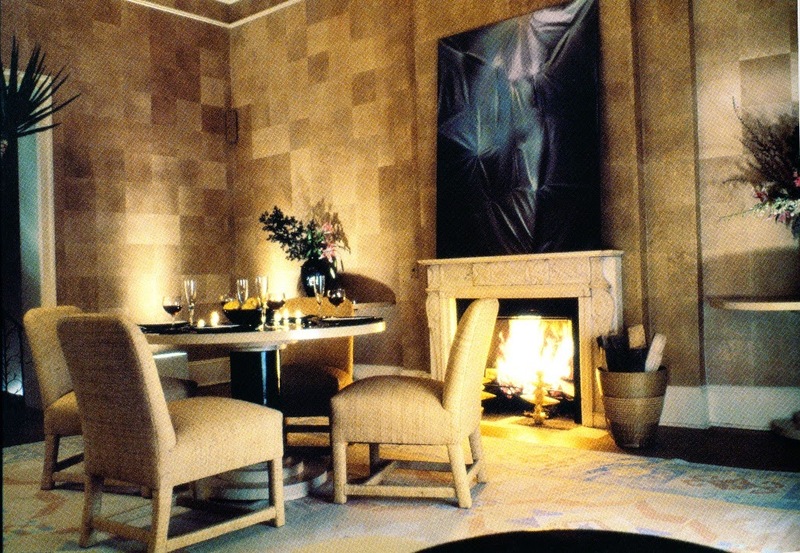 Each room is filled with comfortable fabrics and furnishings mixed with interesting objects and inherited treasures. 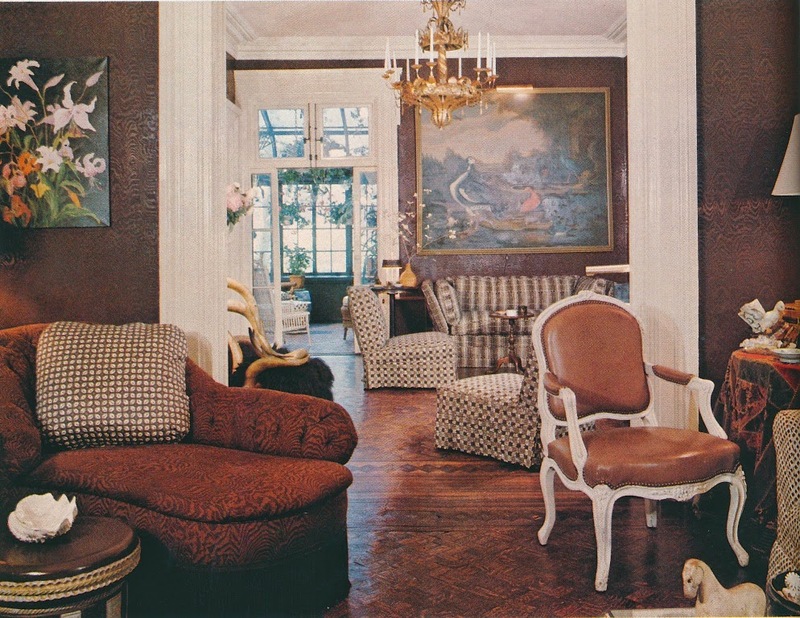 The result are interiors that are well-mannered and genteel yet carefree and easy-going, all attributes which speak to Gatewood's Southern upbringing as well as the property's South Georgia location. With text written by Julia Reed, one of my favorite Southern writers, One Man's Folly is a worthy addition to one's library. 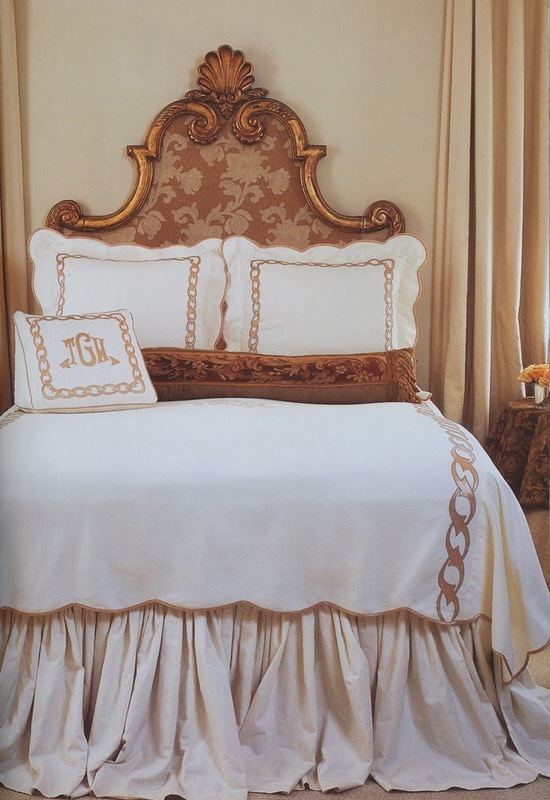 Then there is Linens by Jane Scott Hodges, who is the founder and owner of Leontine Linens. 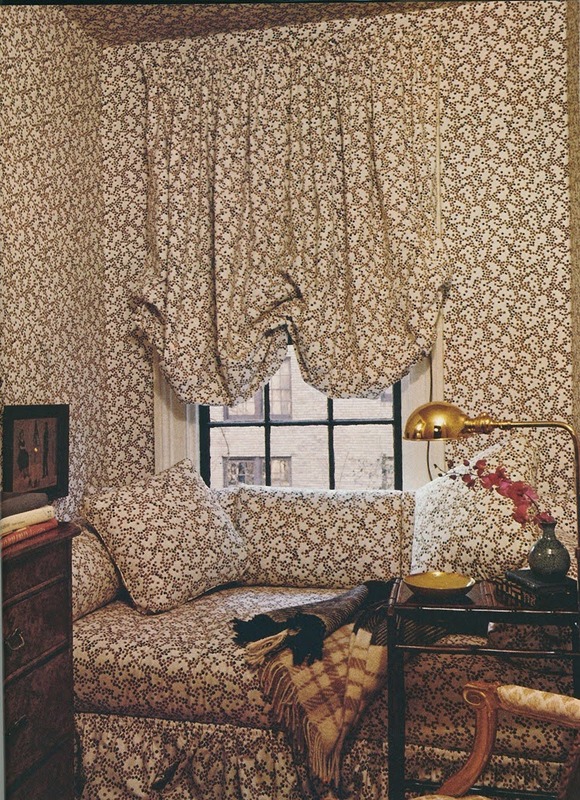 Hodges's book is also a photographic tour, one that captures Leontine's famous linens in use in some very swell interiors. Alongside copious interior photos are designer tips on decorating and living with linen as well as information on linen basics. 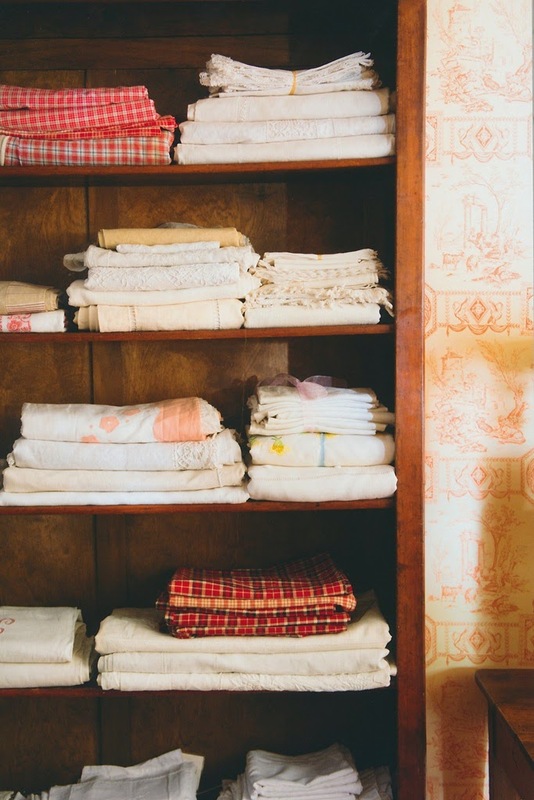 If you have a passion for linen, then this book should be right up your alley. *To purchase a copy of One Man's Folly, visit Amazon or Barnes & Noble. 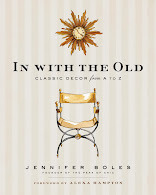 For Linens, visit Barnes & Noble or Amazon . All photos used with permission of Rizzoli. 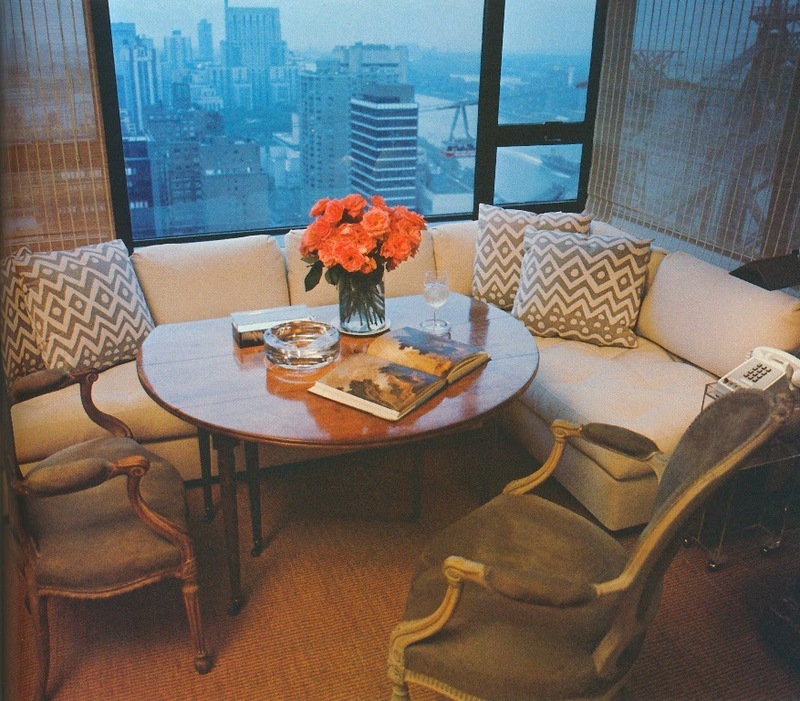 One Man's Folly by Julia Reed, Rizzoli publisher; Linens by Jane Scott Hodges, Rizzoli publisher. A few weeks ago, I visited one of my favorite shops, Hollyhock, where Suzanne Rheinstein and the Hollyhock gang hosted a book signing party for me. It was such a treat to see old friends, meet new ones, and peruse- no, make that swoon over- all of Hollyhock's treasures. 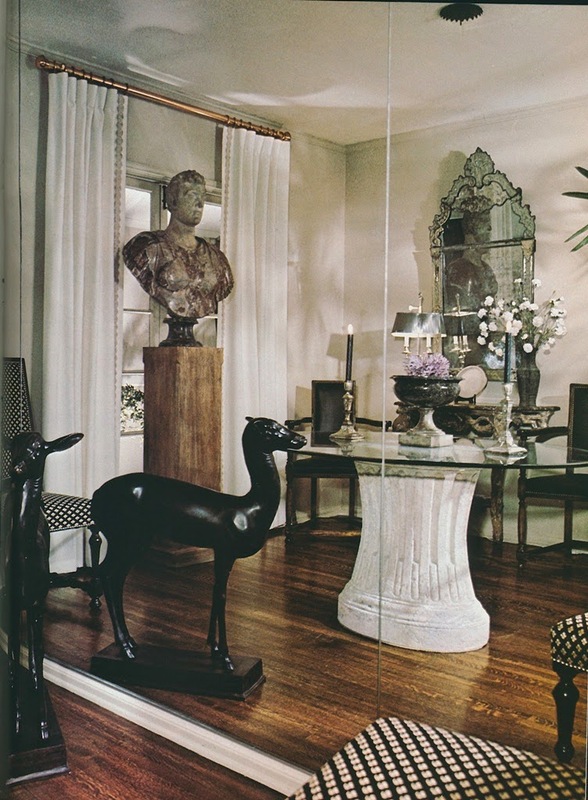 The work of Vladimir, Christopher Spitzmiller, Frances Palmer, Livia Cetti, and Scanlon Apparati caught my eye, as did all of the beautiful antiques that look anything but old-fashioned. (Stay tuned for a future blog post about Scanlon Apparti, a line with which I'm currently obsessed.) To say that Hollyhock carries the best of the best is an understatement. I took a few photos to show you what is currently in stock at Hollyhock. To see more of what Hollyhock carries, or to inquire about anything you see here, please visit its website. Book signing party invitations displayed amongst pieces made by Frances Palmer. 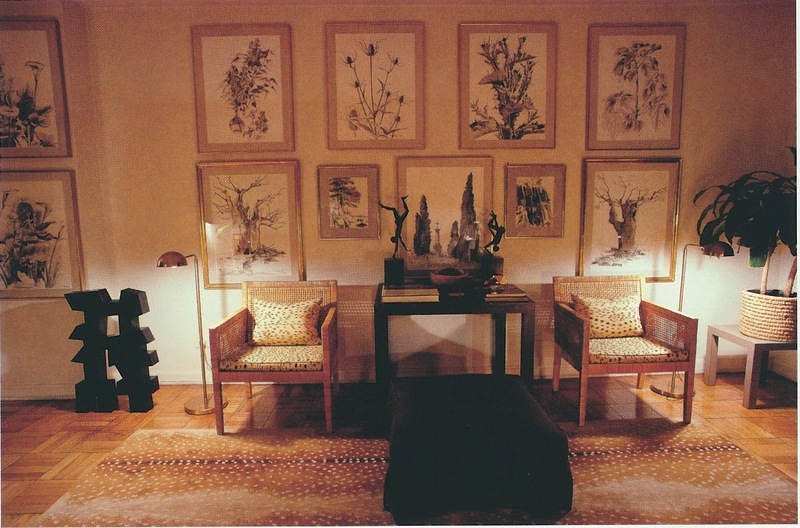 I marveled over these diorama wall hangings by Scanlon Apparti. This piece has a very interesting provenance. Frances Elkins refashioned a George III japanned dressing mirror (c. 1770) by adding a silvered, carved wood stand and crest to it. The addition dates to the 1930s. This piece once resided in the Ladies Powder Room at the Kersey Coates Reed house, which was one of David Adler's best known houses.